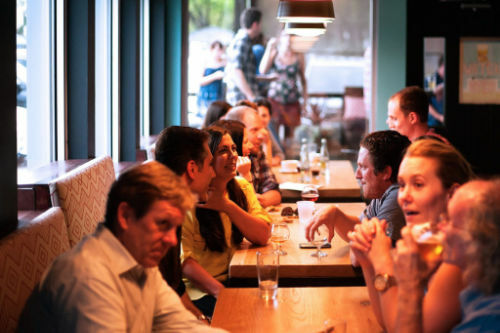 If you like to go to a bar for a drink, there are bars where in addition to drinking and chatting, they also provide games for you to know more people who share the same interests as yours. For those who like to play billiards, On Tap and the Brass Monkey are good venues that have tables. Darts lovers can play or even join a team at TEAbar 66, On Tap, and Beer Geek. The latter also has a pinball machine for all you aspiring wizards. The Local is a popular venue for its weekly pub quiz which includes a wide range of topics and trivia. If all the above activities are not enough, simply shuffle some dice with your Taiwanese friends. Most bars have them so just ask the bar tender. The Taipei Chess Circle is held weekly on Tuesday evenings at 6 P.M. till generally around 10 P.M. at the MTB Tea Bar. The casual chess club has run on and off since 2011 and can be found on Facebook at Taipei Chess Circle. Attendees range from beginner’s playing strength to expert level. Some are locals that may play on the national team and others are expats studying and working in Taiwan. There are no fees to attend the games and chess sets are provided on the 2nd floor of the bar. Also, for those who are not really into games, Bobwundaye has local and expat bands playing live music most Wednesdays and Saturdays.